Recently, I have been daydreaming of a finished living room. While I know that completing this room is several months away, I like to plan and watch the room transform little by little. To start, setting the tone with paint always gives me the boost that I need to get the begin any project. 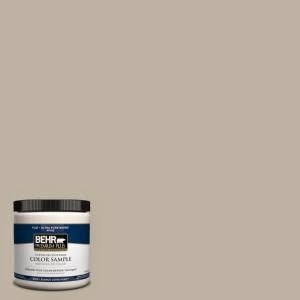 The main parts (entryway, kitchen, family room, main hallways upstairs and downstairs) are Castle Path by Behr. 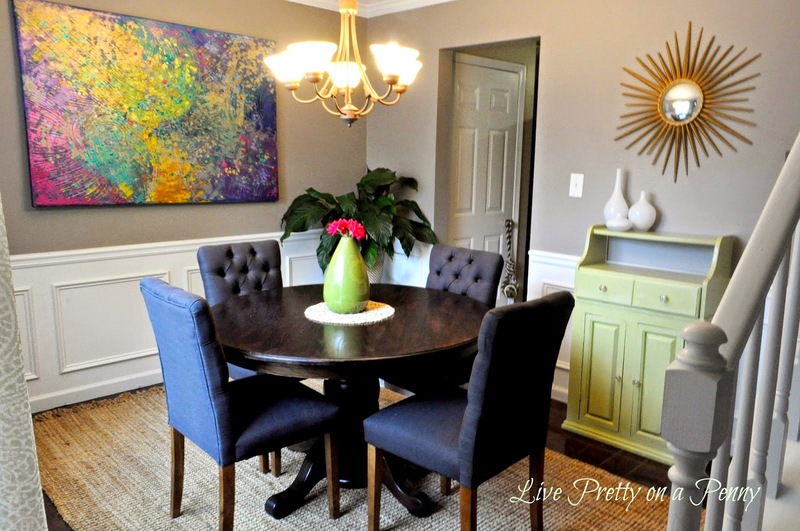 My dining room is Fashion Gray by Behr. For my living room, I have decided that I wanted a little color. 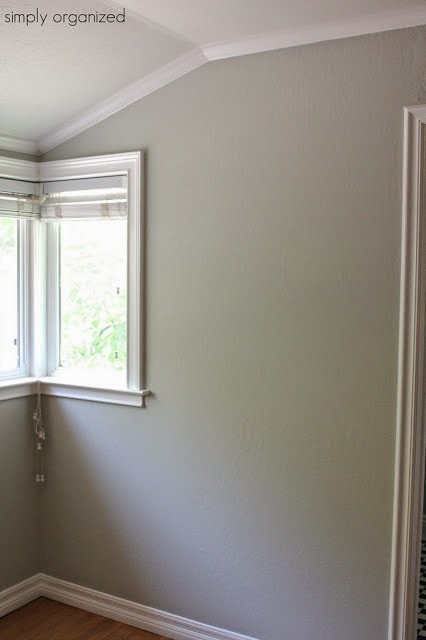 I still wanted it to be neutral, just more depth so I am set on finding the perfect green-gray color. This is one of the first rooms you see when you come into my home and it faces the same direction as my dining room. They are across from each other, yet separated by the stairs, and entry hallway. I plan to do a home tour video soon so that you get a good idea of the flow. It gets good sunlight during the day, so I think a nice color would be perfect. 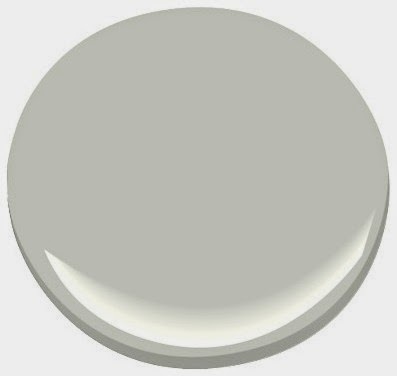 I love how Kate over at Centsational Girl uses this color. She tweaked hers a bit adding two additional drops of blue. I am wondering if it may be too blue for me? Hmmm. It still has a good amount of greeny gray to it though. I don’t know. I am look for a true green-gray, nothing aqua or blue. But never the less, it is still a pretty color! Another gorgeous color. Again, it looks different in both of these images. *sigh* The swatch appears to be green gray, as well as the top image, but in a second one, it appears too blue. I understand that its all in the lighting. This color may the the closest to what I am looking for. In all of its images, it seemed to remained pretty consistent. If this is its truest form, then this is EXACTLY what I am looking for! I love the way the color looks in both images. I think that I will head by my local Home Depot and snag a few samples. Do you any of you have these colors in your home? If so, please weigh in. Also, if you have any other color suggestions, let me know. I need help! Previous Post Happenings, Planned Projects….. and Me? A Host for Thanksgiving? Can't decide. I would have to really see the swatches together to make a decision. All are great colors. 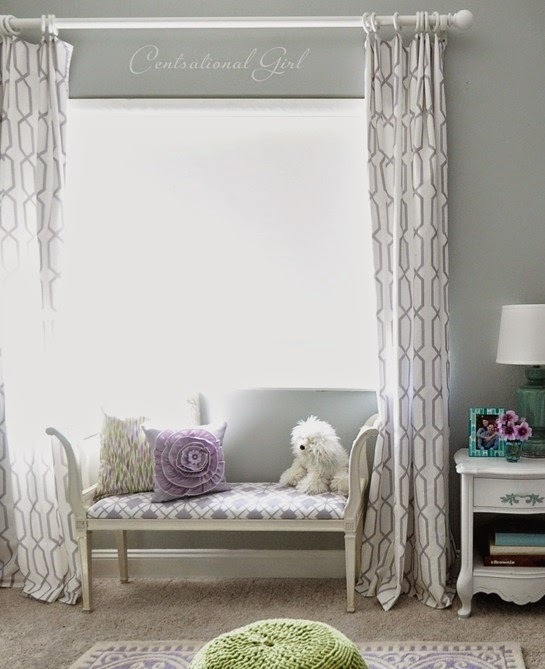 The inspiration rooms look lovely and whatever color you choose will look great. I love the last one. 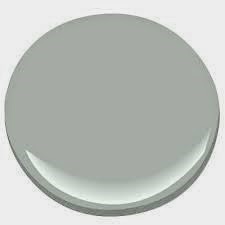 I actually repainted a good portion of my home with Ben Moore Light Pewter. I saw it in a friend's home and just loved it. 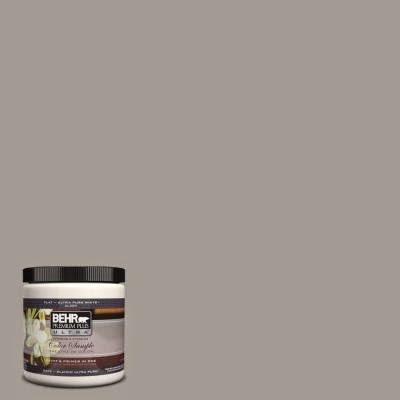 It looks well in all kinds of light and doesn't have any of the green or purple undertones that I was trying to avoid. 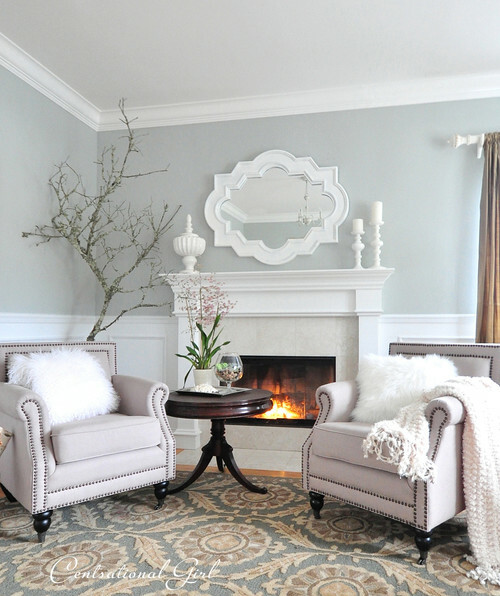 You have some great neutrals in mind. 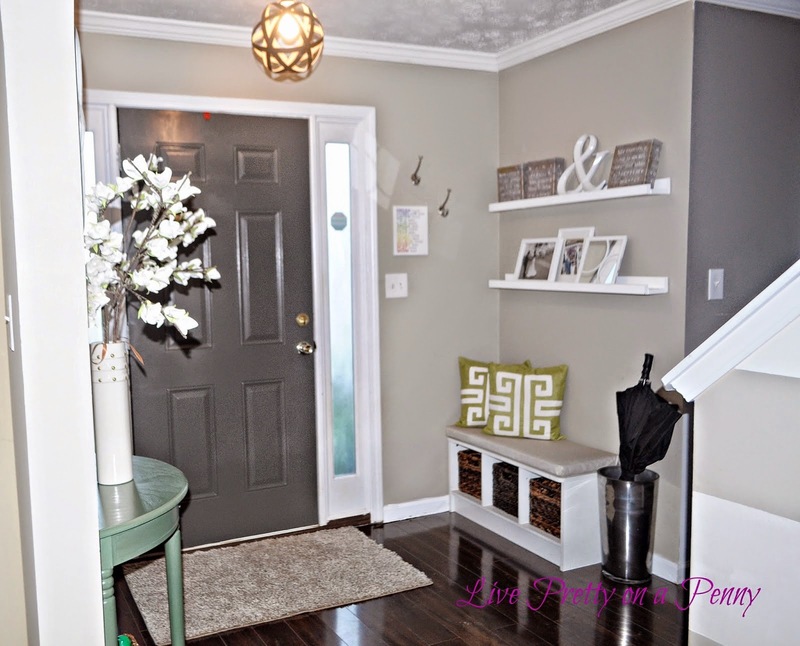 You'll be able to get a better idea what you like best after you get the samples on the wall. Looking forward to seeing what you decide. I love the vapor trail color. So beautiful! I like all of the colors! Did you get the samples yet? Excited to see what you go with!